Withdraw thy savings from ye olde school bank! There are two parties urging you to do this. 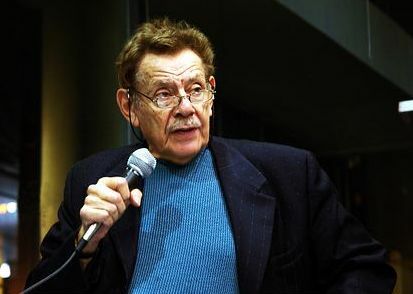 Jerry Stiller in New York City for a book reading for Festivus. I could not navigate the copyright quagmire well enough to show you the actual ad. But Jerry is a paid spokesman for the 1%. We, the 99%, urge you to move your money out of any for-profit bank and deposit it in a not-for-profit credit union. It is not a radical idea, but is does fall within the scope of direct action broadly understood. I heard it proposed by two time gubernatorial candidate Grace Ross1. 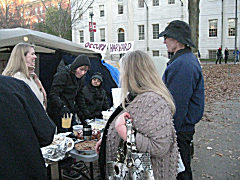 There was one earlier attempt by Occupy_Boston.2 I was told that the banks simply refused to give them their money. The current effort appears to be nationwide. Like many things associated with Occupy . *3, leadership is “dynamic and evolving.” The Facebook incarnation lists Kristen Christian from LA as originator and it is called Bank Transfer Day. 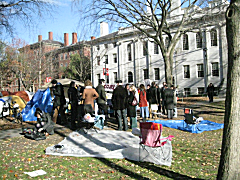 Occupy Boston lists Move Your Money. Despite it’s fairly moderate approach, I do think Move Your Money Day is worth doing for those that have some4. 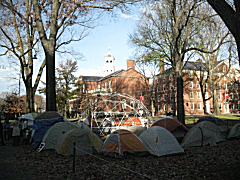 It is a way to support Occupy . * It is not radical, but it may help. And perhaps it will inspire more dramatic efforts. We, at Dewey Square and others sites around the nation and around the world would not still be in place were it not for the outpouring of community support. Thank you. I hope, fairly soon, to discuss what I have learned about Consensus, Contradiction, and Community. 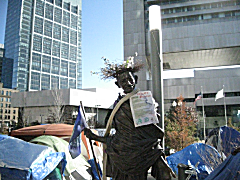 To add some energy to this movement, some friends from Occupy Boston will leave Dewey Square on a tour of the Financial District Saturday morning Nov. 5 at 10:30 AM. I will be at Harvard guarding the library. 1Grace ran once on the Green-Rainbow Party ticket. 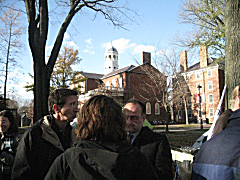 It was the Massachusetts branch of the national Green Party. Green-Rainbow still exists, but is has been demoted to a ‘political designation’ due to low vote count. She ran again as a Democrat. She gave an excellent talk at Community Church of Boston. 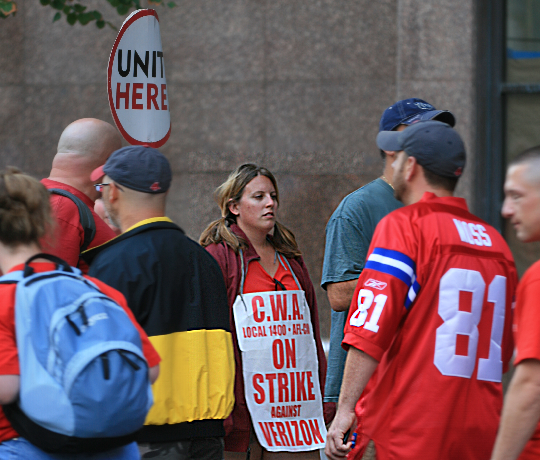 2If you want to appear hipper than you really are, you can follow @Occupy_Boston on Twitter. 3I have used the language of regular expressions in the title of a previous post. I repeat the explanation. Regular expressions are a part of the Chomsky Hierarchy – Class 3 according to Wikipedia. I had used them for thirty years. In all that time, I never heard Chomsky’s name connected with them even though I heard his name at anti-war rallies all the time. The dot is the symbol for any single character in the alphabet of the language. The asterisk indicates “zero or more occurences”. Combined, they match any number of anythings i.e. all possible sentences of the language. 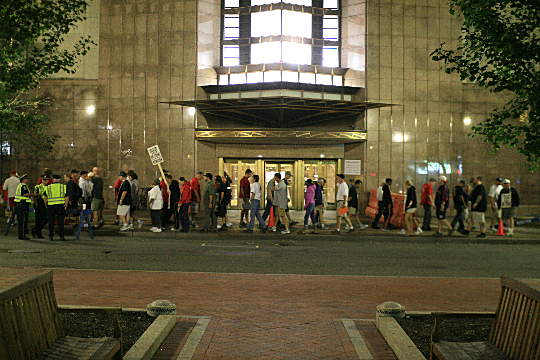 Occupy is growing. 4I’m not penniless, but close to it thanks to the recalcitrance of Mr. Leo Godwin of the Quincy office of the United States of Blackwater Revenue Service. 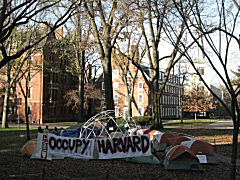 Even without Leo, Harvard’s campaign to reduce the standard of living of it’s low wage workers would have me homeless as I am. But what money I do have is in the Harvard University Employees Credit Union. ¡¡¡ Strike !!! 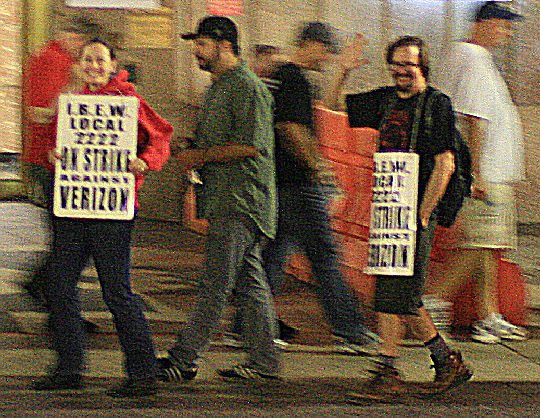 IBEW & CWA fight back against Verizon.